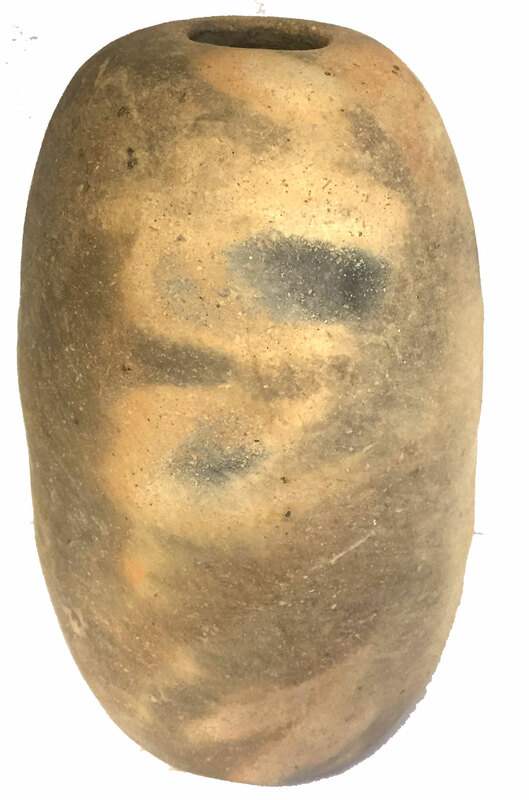 A Tall, Narrow, Very Well Made, Visibly Aged, Nicely Firemarked Caddoan Seed Jar That Exhibits Visible Aged Surface Grog Deterioration, Aged Open Pit Firing And Firemarking, Visible Surface Coiling Manufacture, Evident One Side Extended Placement Exposure, Visible Inside Aging And Deposits, Correct Material And Manufacture For The Area Found. Found Near The Ouachita River In Clark County, Arkansas. Ex-Rick Steed Collection. Caddoan Seed Jars Are Rare, With A Small Distribution Area In Southwest Arkansas. This Is An Excellent Example, Having A Nice Shape, In Solid Condition. Includes A Ken Partain Certificate of Authenticity.